I was reading the paper yesterday & found this interesting article. I did some digging and it just got more interesting! 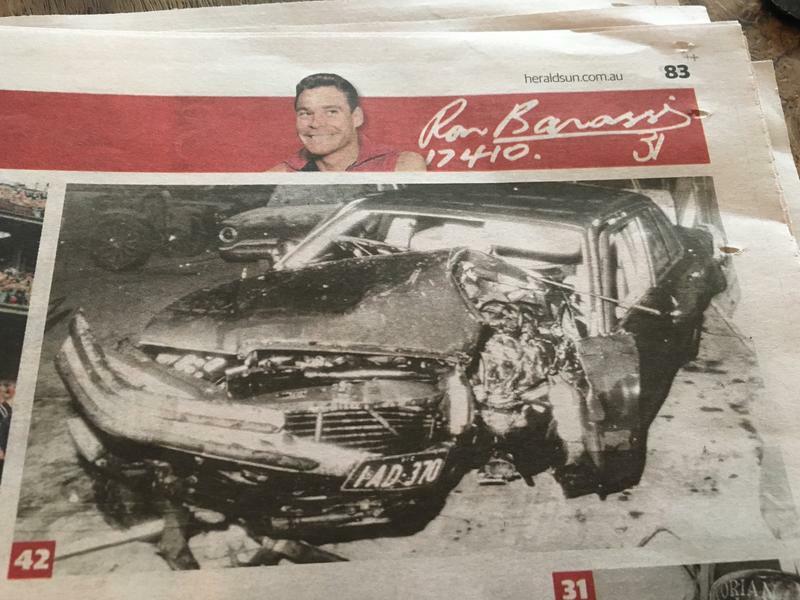 Apparently Ron was nearly killed and if he’d been in a lesser car maybe he wouldn’t be with us today. It didn’t end well for the car though... Only question is exactly what Benz was it? 450SEL? I doubt the 6.9 was available in Australia in 1976. Truly terrifying Ron very lucky to survive! Crikey look at the W116 after the accident! 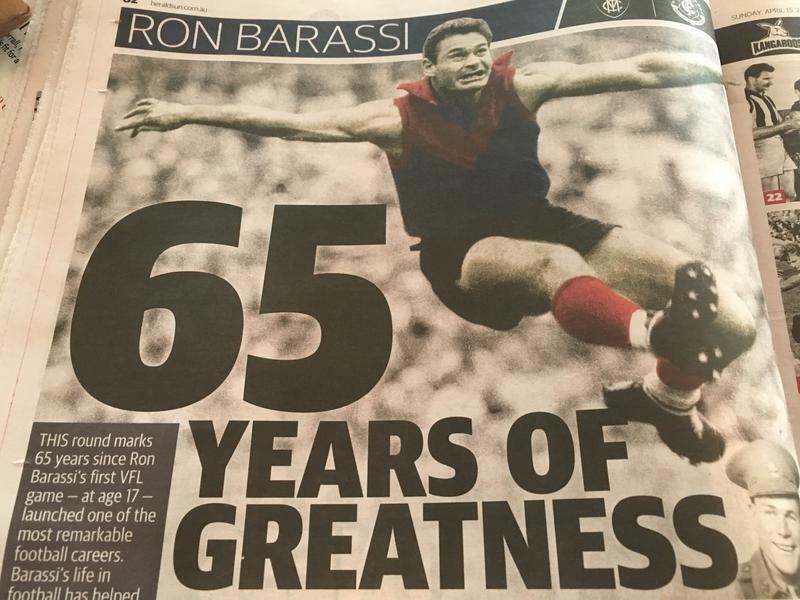 Ron who is a VFL legend. Amazing story, but that’s what made Mercedes so unique and in demand. In the pics I can’t see a sunroof nor rear headrests. That would indicate that it was a SWB (SE) which removes the possibility of it being a 6.9. It definitely is a 450SE - I base that on the apparent pictorial evidence that the pleats of the backseat reach all the way to the parcel shelf. All 450SELs had a flat panel between the parcel shelf and the rear pleats - plus the rear headrests of course. Certainly a huge impact - luckily enough most damage was occasioned to the passenger side. Had it been the other side......God only knows. Last edited by tcj; 26th April 2018 at 12:44 AM. Bloody hell just look at the 6.9 that is terrifying! 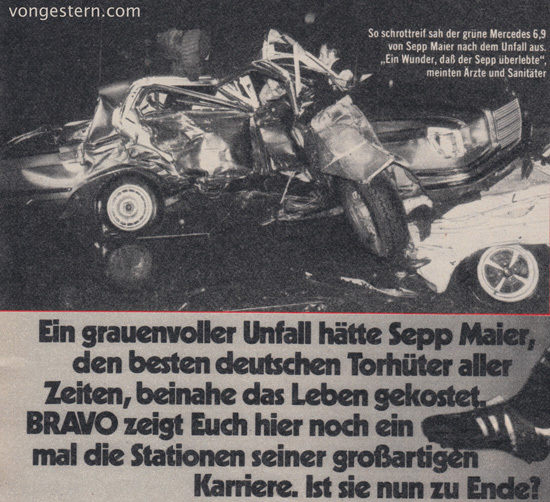 Looking at the car Sepp Maier was a lucky man to survive. I see someone helped themselves to the 6.9 grille!!! It doesn't get worse than a side impact like that and it's very lucky there wasn't any passengers in the car at the time! 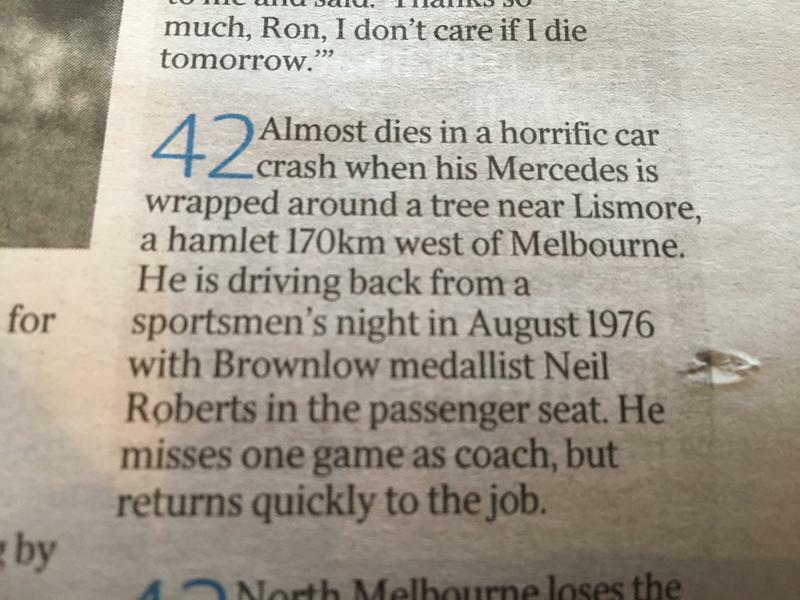 More on the Barassi crash apparently he DID have a passenger in the front seat by the name of Neil Roberts who is rather famous in the footy world. 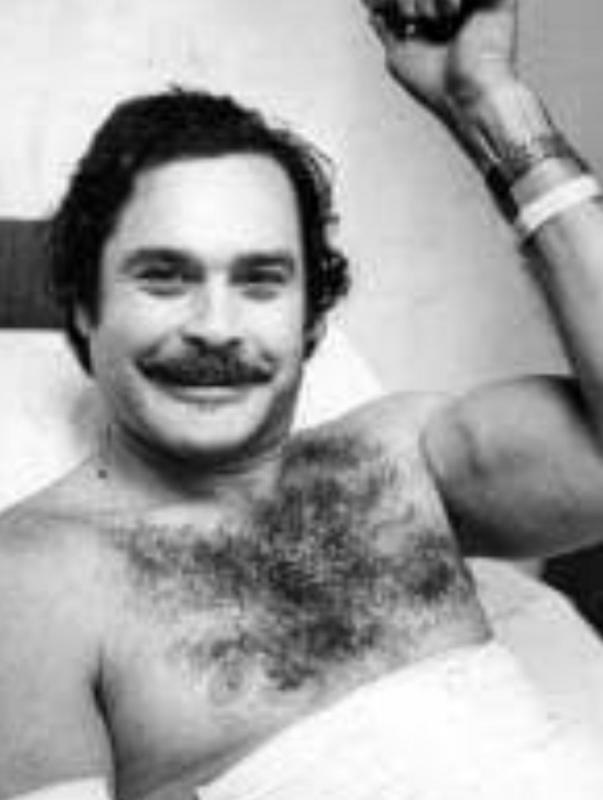 Neil spent quite a bit of time in hospital after the crash. 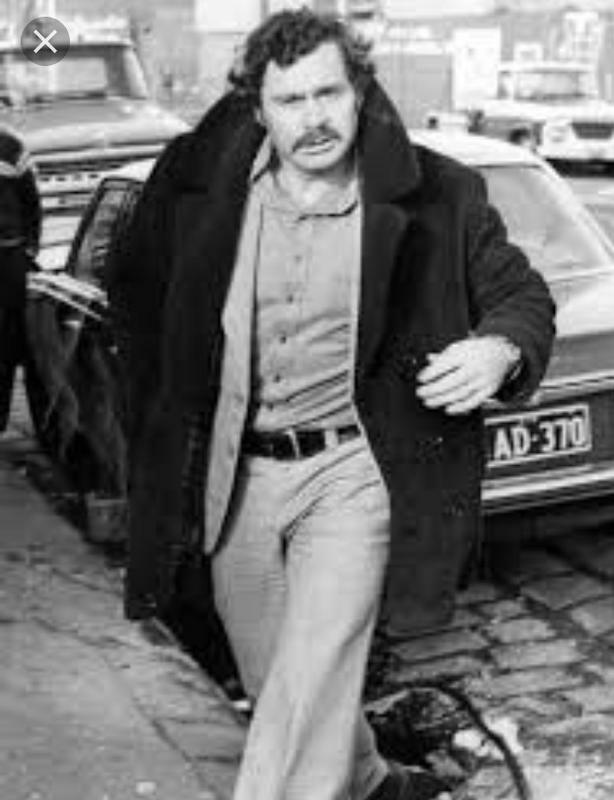 Ron was too busy coaching to undertake the required rehab and as a result his knee still plays up to this day. Ron was quoted as saying, "Neil navigated me into a tree" which I'm sure was an attempt at humor when discussing a rather distressing matter. 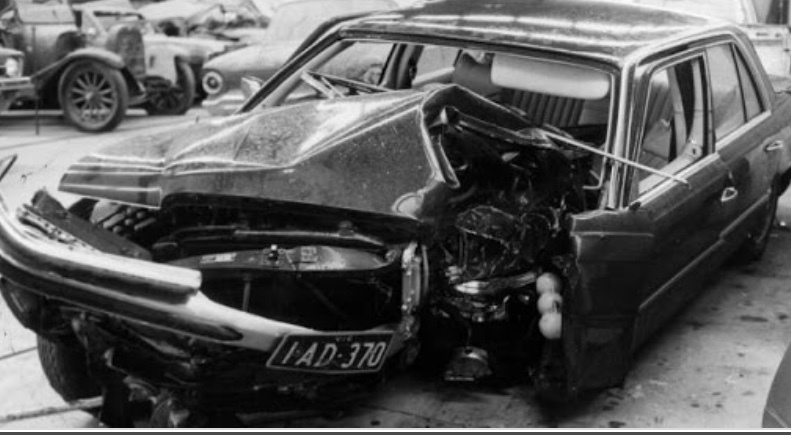 On a forum discussing the crash a Judith Strahan said that her friend was a loss assessor for the crash and had said that if they weren't driving a Merc they'd both be dead. Sobering thought when considering a new car. Oh while I'm on the subject, from what I've seen over the last 5 months, I'd serious look at a diesel with a boot mounted battery for my next car. And the newer the car the better when it comes to safety. After all we all want our people to be safe and not put at a greater risk. You can be the best driver in the world but you cannot do a lot to avoid the ever-increasing number of d*ckheads on our roads.